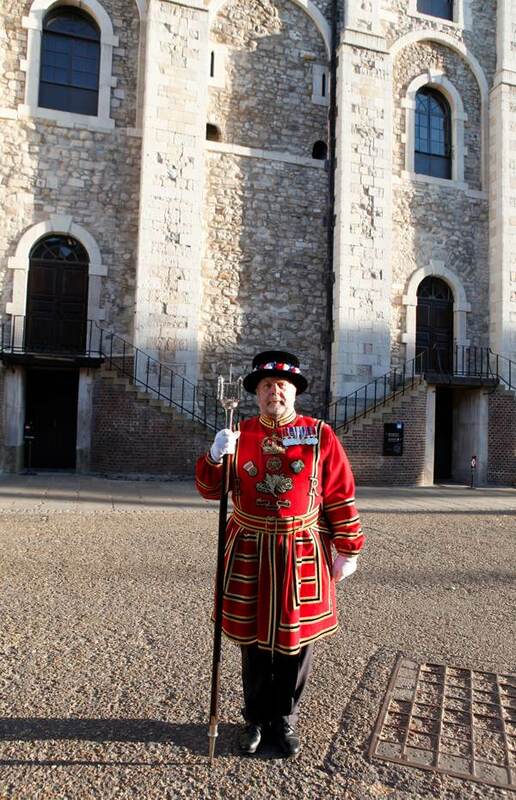 At the core of the ancient palace at the Tower of London is a fine octagonal room with a lofty vault of stone, the Presence Chamber where the medieval kings of England held court - with one entrance leading back into the Tower and the other out towards the City. 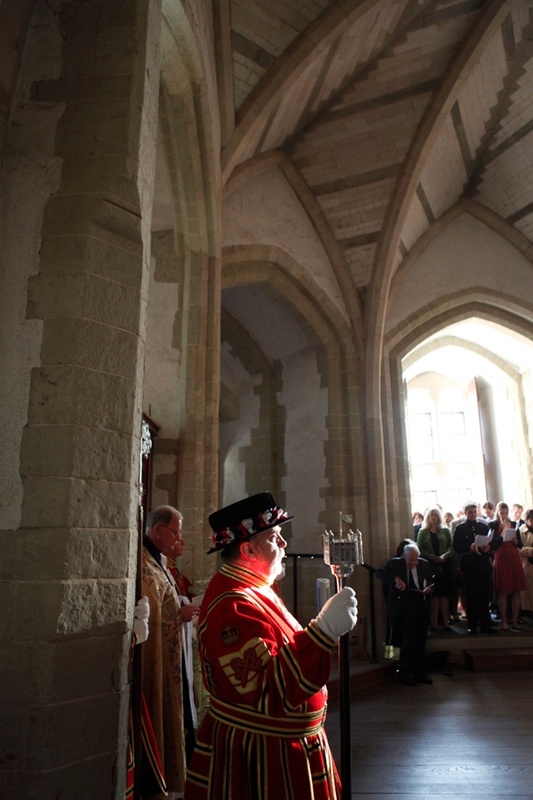 The Plantagenet dynasty came to a violent end here in the Wakefield Tower when Henry VI was imprisoned and then murdered in 1471, allegedly whilst at prayer in the oratory on the night of 21st May, the Vigil of the Ascension. 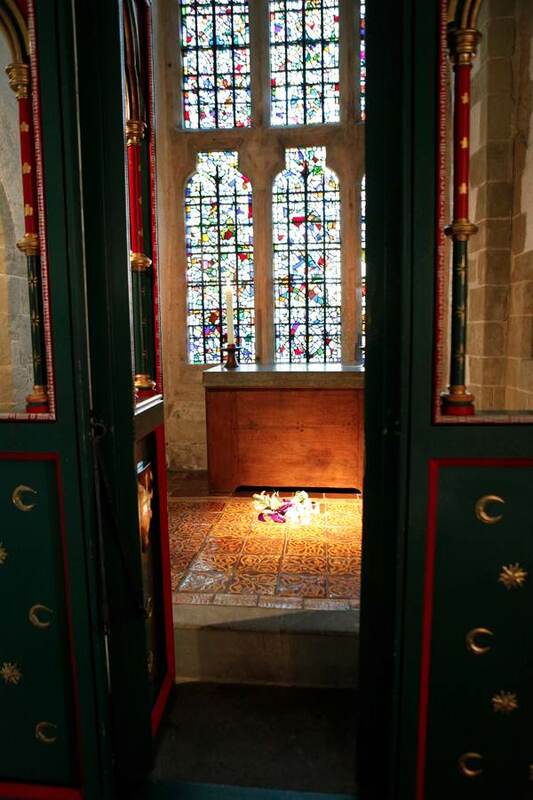 In 1923, a marble tablet was laid in the oratory floor in memory of Henry and since then lilies have been placed there by students of Eton College upon the evening of each anniversary, commemorating Henry as their founder. 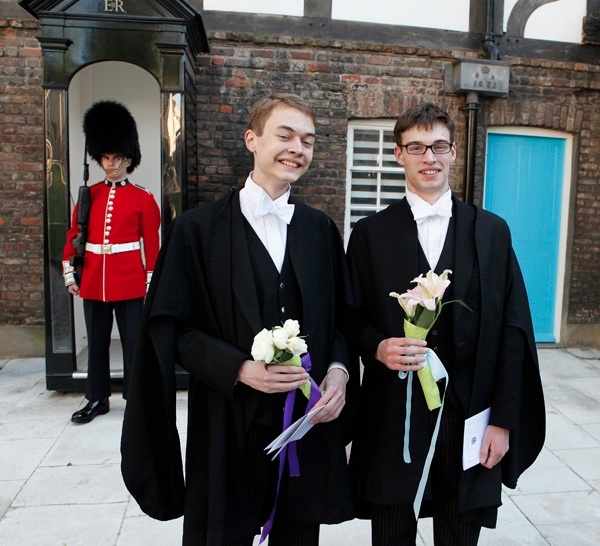 And since 1947, the lilies have been supplemented by roses, a token of King’s College Cambridge, the other of the two royal colleges founded by Henry, as the enduring legacy of his ill-fated reign. Held in private, by the fading rays of the evening sun, to the accompaniment of a small choir singing plainsong, this is a quiet ritual of remembrance, and I was granted the opportunity to attend this year as the guest of John Keohane, Chief Yeoman Warder in the company of Spitalfields Life contributing photographer Patricia Niven, who took these first pictures of the ceremony of the lilies and roses in decades. Three weeks before Henry’s murder, his only son Edward was killed at the battle of Tewkesbury on May 4th where his wife, Margaret of Anjou, had been taken prisoner by the Yorkists – bringing the Wars of the Roses to an end. 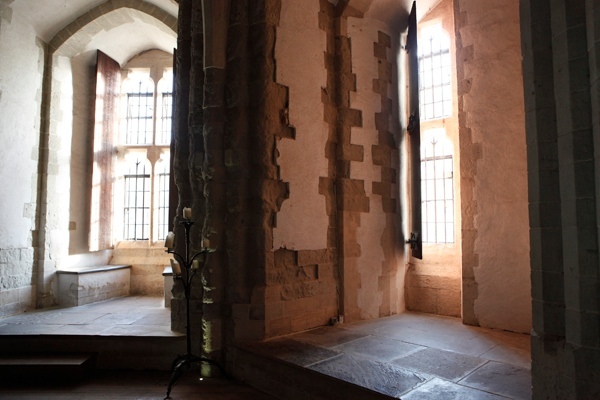 Seventeen years earlier, King Henry had suffered a breakdown and he declined into mental illness through the rest of his life, unleashing a power struggle within the kingdom that was only resolved by his death here upon the stone floor in this room in the Wakefield Tower. 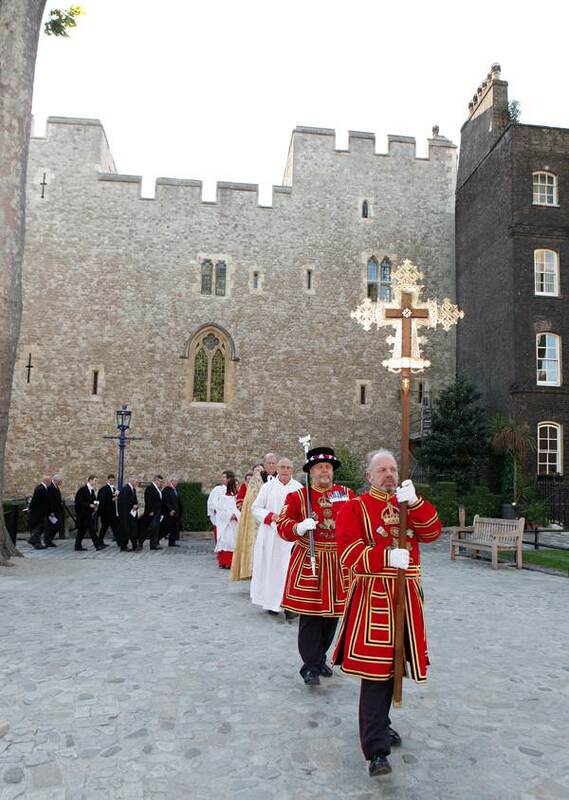 Once the Tower of London had emptied out of visitors at the end of the day, a procession gathered outside the Queen’s House on Tower Green, led by the Yeoman Warders. 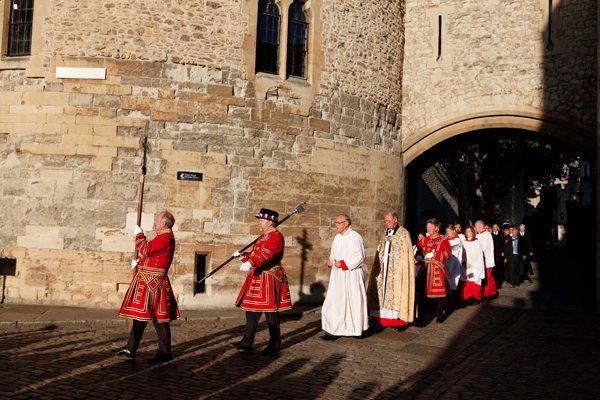 John Keohane first marched in this procession in 1992 as assistant Sexton, then in 1995 he was promoted to the Clerk’s position, rising to the role of Gaoler in 2000 before being appointed to Chief Yeoman Warder in 2004. 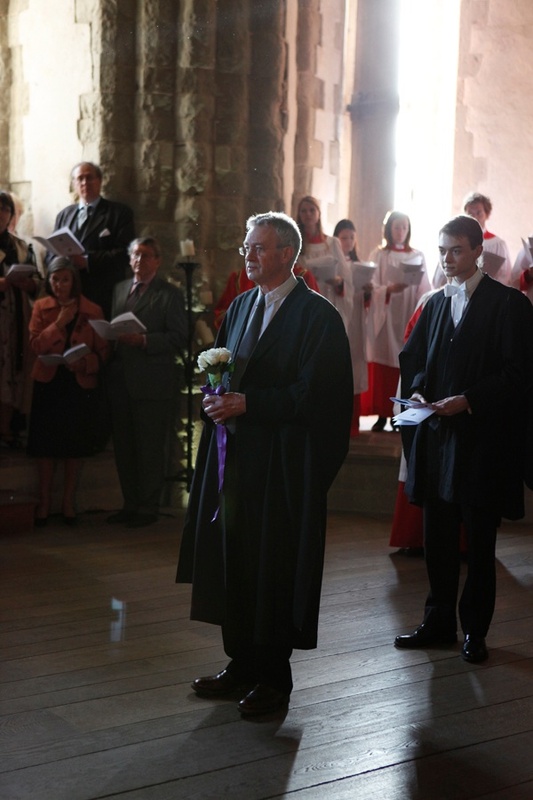 Each role has its staff of office and John has carried every one, culminating in the solid silver mace with a finial in the shape of the Tower that he wields today. I accompanied the guests, winding up a narrow staircase of worn steps from Water Lane and crossing a stone bridge to enter the austere octagonal chamber where a single shaft of blazing sunlight traversed the space. 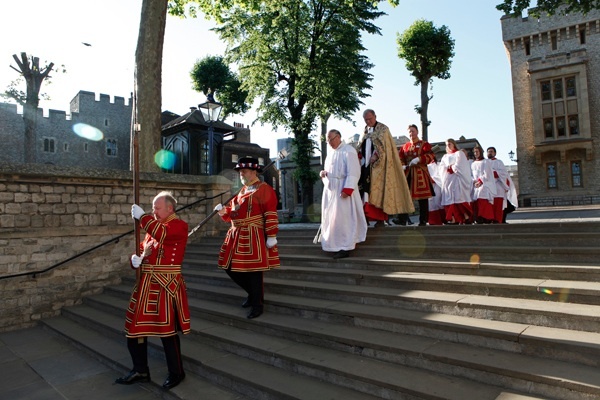 From within the Tower, arriving through an ancient low doorway that required the crucifix to be lowered to enter, came the procession, warders with their maces, the chaplain and the governor of the Tower, the provosts of Eton and King’s Colleges in their dark gowns, the young scholars with their sheaves of lilies and roses, and the choir in their red vestments. Once this party took up their positions, facing the oratory and filling the chamber, the entire space took on its intended reality, as a place of ritual and the role play that accompanies the distinctions of hierarchy and responsibility. Plainsong in the confines of a medieval chamber carries a resonance that is intense and immersive, as if the number of singers were multiplied – an effect that was vividly apparent when the priest led those gathered in prayer and the voices were augmented through echo, as if a host of unseen guests joined us in attendance for the ceremony. 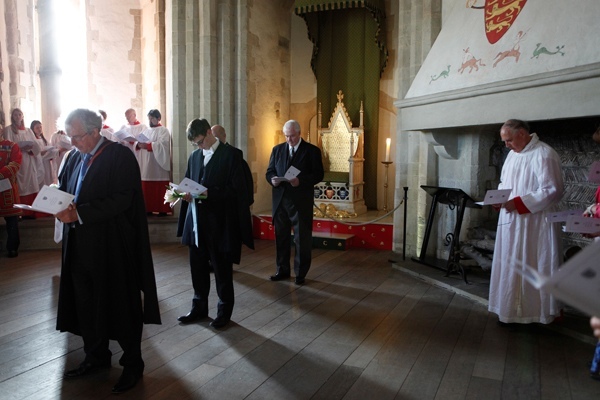 The solemn gathering at twilight and the prayers and the psalms, in this bare stone hall, created a circumstance in which the age of Henry VI no longer seemed beyond reach. Outwith the quiet of the empty Tower of London at the end of the day, the City was busy, yet it dissolved into insubstantiality as we stood in silence together in the ancient Wakefield Tower – while the last shaft of sunlight travelled across the room and the young scholars laid their lilies and roses upon the site where the founder of their colleges was killed long ago, in another age. Fascinating, as usual. But the photos are particularly fabulous! 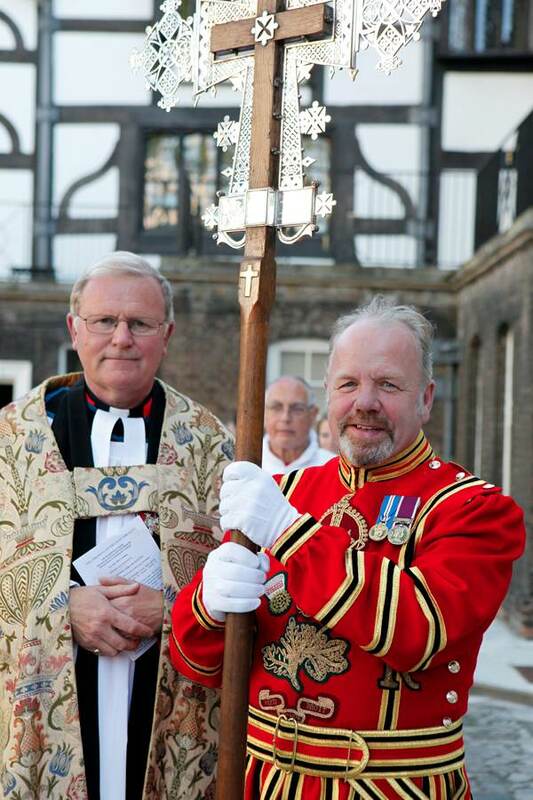 Many thanks for allowing us to be privy to this aweful ceremony. Surely a few locals could be invited each year. Maybe as a prize for community service. Amazing history, ceremony and pageantry. Truly wonderful. I hope there is soon going to be available a book of this blog. So many new things I learn and lovely photography to see as well. Who can ask for a better location/city blog? Congratulations to Patricia for her colourful photos – next best thing to being there! I enjoyed reading your post and its little details. 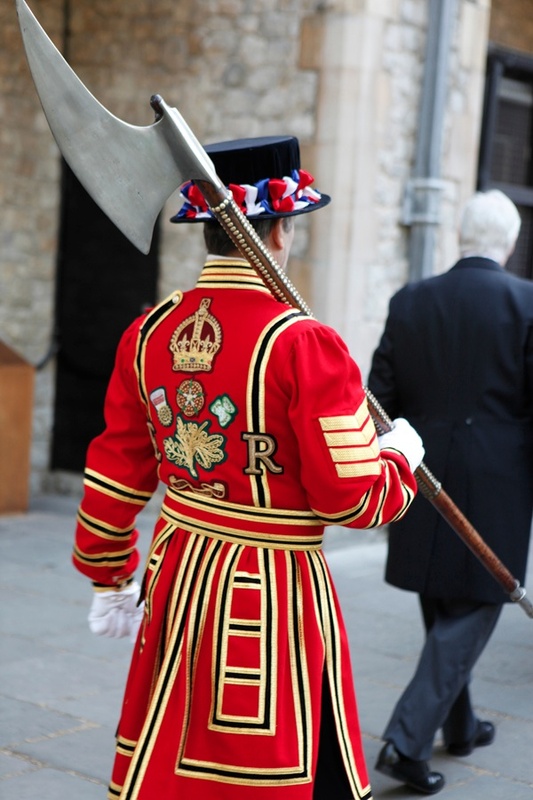 This kind of pageant and ceremony is something the overseas tourists would go crazy for but I found it touching that the event is a very private affair, which means (to me) it is performed out of a sense of duty and honour to a patron, and not merely as a crowd puller. 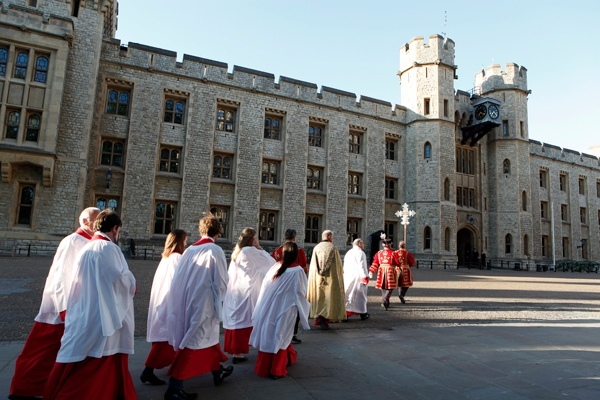 Beautifully presented,a peek into the quiet ceremony of the Tower.The photos are wonderful.I have a ravenous desire to partake in GB’s history.Finding a site like Patricia’s is as refreshing as an icy glass of water on a hot summer day. I am American,handicapped by a heart stopping fear of flying,so it is highly unlikely I will ever walk the cobbled streets of Old London.Thusly,I depend,fully on finding sites of this calibre to quench my thirst for knowledge. 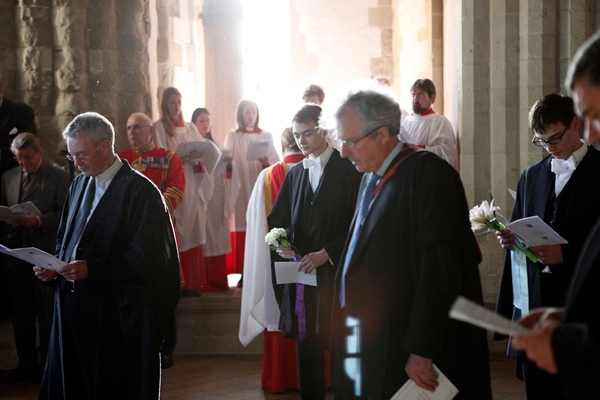 Thank you for sharing your lovely photos,and explaination of the ceremony. 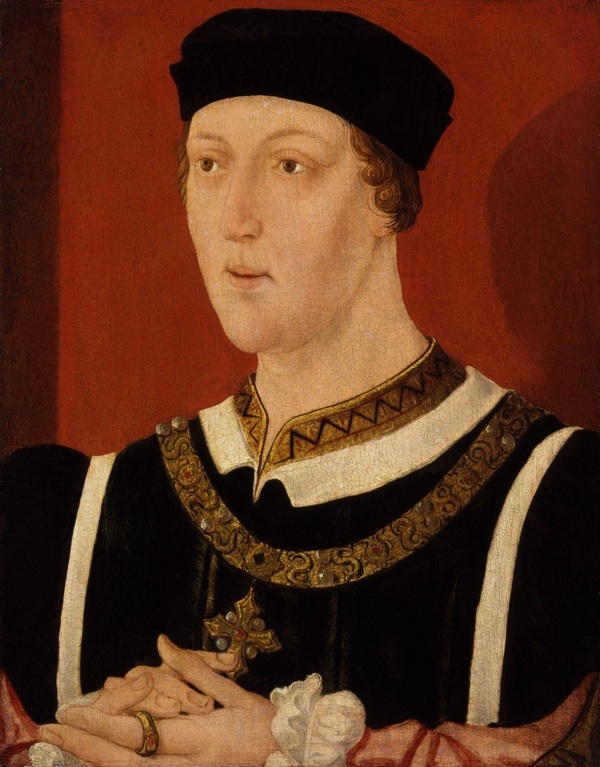 Many forget Henry VI’s accomplishments. It seems a beautiful ceremony in its simplicity. 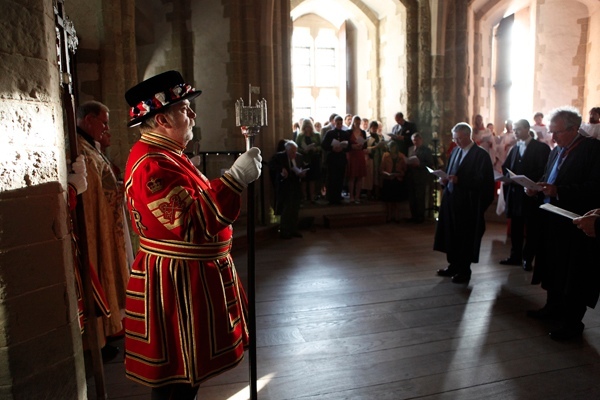 Beautiful pageant and ceremony for a forgotten King, cruelly killed by the house of York. I am pleased he is remembered. 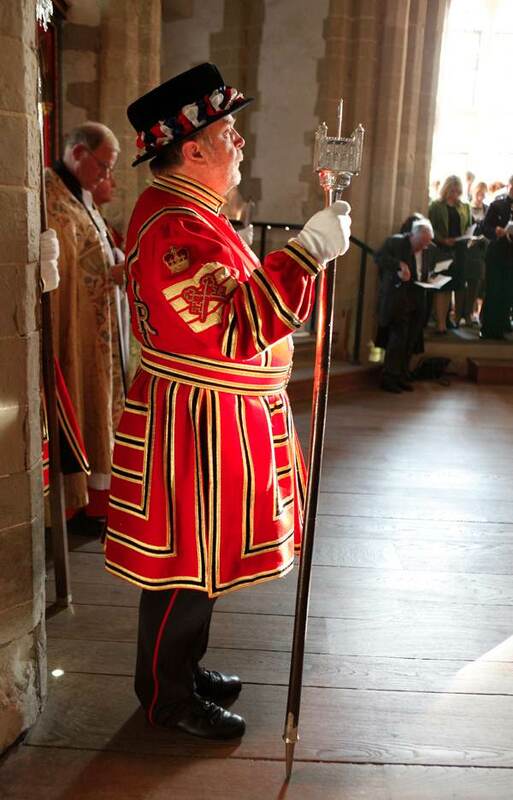 May Henry, the last Lancastrian King, rest in peace.